Long banished from Fogmere for the practice of dark magic, an evil wizard now holds the kingdom under a reign of darkness! 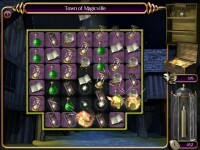 In the shadow of Spellgarth Castle lies the sleepy hamlet of Magicville in the heart of the Fogmere Archipelago. Long banished from Fogmere for the practice of dark magic, an evil wizard now holds the kingdom under a reign of darkness. With the help of Tiana, the faerie queen, only Eldric can restore peace to this troubled land. 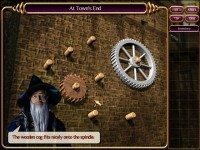 Use your Match 3 skills as you journey across extraordinary lands and release Fogmere from its evil rule before it's too late in Magicville: Art of Magic. Save the land of Fogmere from evil! 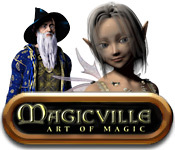 Tell someone about Magicville: Art of Magic Game!